"The perfect book for anyone who's ready to watch their business truly 'Take Flight.'" I read it all without stopping! A pleasure to read and very engaging if you have the passion for entrepreneurship. The author shares practical, true stories from the trenches of first hand experience, not some theoretical idealized instruction. 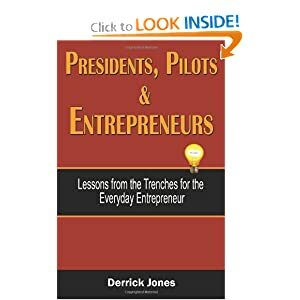 Additionally he maps the stages of a startup business enterprise in three overlapping phases and shares what has worked for him and more importantly where he (failed) learned from his mistakes, so you do not have to do it and you can learn on his dime.